Daulet Bey illegally transferred three houses, bankruptcy trustee says. trustee claims was an attempt to hide those assets from creditors. Attorneys for trustee Tevis Thompson filed a complaint Tuesday against Daulet Bey, who turns 50 on Monday and is mother to eight children ofthe bakery’s late founder and patriarch, Yusuf Ali Bey. Among those children is Yusuf Ali Bey IV, 21, the bakery’s current CEO, now in jail on kidnapping, torture and real-estate fraud charges. Thompson’s complaint says the transfers to Daulet Bey were an attempt “to hinder, delay or defraud creditors” and asks the court to revert the properties back to the bakery and trustee. Long an Oakland community institution, Your Black Muslim Bakery is now in ruins. Aside from its pending liquidation and the criminal charges against its chief executive officer, a bakery handyman is accused of the Aug. 2 murder of Oakland Post editor Chauncey Bailey, and other bakery associates are charged with a slew of other felonies.Thompson’s complaint says that on Feb. 9, 2006 — eight months before filing for bankruptcy protection from about $1.1 million in debts — the bakery transferred the properties at 5873 and 5877 San Pablo Ave. in Oakland to Daulet Bey free of charge, as a “gift.” Yusuf Ali Bey IV was the bakery’s CEO at the time of transfer.These properties, now assessed at a total taxable value of $1,897,200, are storefronts with apartments upstairs, up the block and across the street from the bakery’s headquarters at 5832 San Pablo Ave. They’ve been home to several businesses owned by the Bey family and its associates, including a security firm and a bail bond company.Property records show Your Black Muslim Bakery bought 5873 San Pablo Ave. in 1978 for $42,000. Records show the other two properties the trustee is interested in have changed hands myriad times in a complex web of transactions — often with no payment. Property records show the building at 5877 San Pablo Ave. came into the family in August 2002, when Madeeah Bey bought it for $500,000. Four months later, Madeeah Bey, another mother of children to patriarch Yusuf Ali Bey, gave the property to Richard Stovall, who has lent the family money on several occasions and now is a creditor in this bankruptcy. Two months after that, Stovall gave the property back to the bakery. 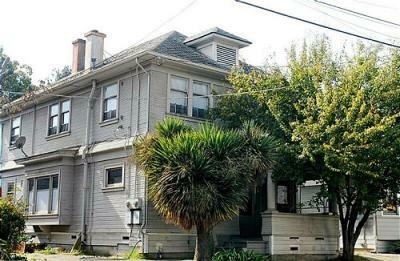 The third property, a residential duplex at 539-541 Merrimac St. in Oakland, has been “gifted” at least five times between Daulet Bey, Your Black Muslim Bakery and Madeeah Bey, according to public records. By May 26, 2004, the bakery had given the property back to Daulet Bey, also without payment. The duplex is now assessed at a taxable value of $382,031. The bakery’s CEO at the time of that transfer was Antar Bey, another of Daulet Bey’s sons. He was slain in an apparent carjacking attempt in late 2005. Asked whether she has retained an attorney, she replied, “It’s probably not going to come to attorneys or anything else. They know it’s not fraud, and I know it’s not fraud. Something will be worked out. Eric Nyberg, the trustee’s attorney, wouldn’t say much Friday beyond what was in the filing. Alameda County property records indicate Daulet Bey and Your Black Muslim Bakery since 1999 have taken a total of $1.5 million in loans against the properties now at issue — $900,000 against the Merrimac Street property, which also was used to secure Yusuf Ali Bey IV’s release from jail on bail in May 2006 in an unrelated case; and about $600,000 against 5877 San Pablo Ave. 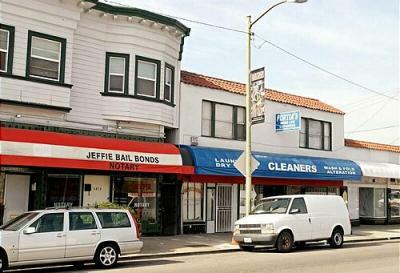 The last of those loans was a meager $650 taken against 5873 and 5877 San Pablo Ave. in December 2006, two months after Yusuf Ali Bey IV filed a voluntary petition for the bakery’s bankruptcy. The trustee’s complaint was filed four days after the bakery’s lawyer, Fayedine Coulter of Oakland, filed a motion to withdraw from the case, noting a “lack of communication” between herself and her clients. Coulter didn’t return a phone call or an e-mail seeking comment Friday. The Chauncey Bailey Project is a consortium of news organizations dedicated to continuing the reporting Bailey, editor of the Oakland Post, was pursuing when he was killed Aug. 2. For more information about the project or its collaborators, contact Dori J. Maynard of the Robert C. Maynard Institute for Journalism Education at 510-684-3071. The public can e-mail tips to cbproject@bayareanewsgroup.com.